If you like our online travel guides you’ll love our walks. Check out all our expert guided tours at walksofitaly.com. And if you like small towns, read our blogs on the best small towns to visit all around Italy. The small towns of Italy are beautiful—and we think those in southern Italy have a particular charm! Boasting stunning views, impressive cathedrals, and jaw-dropping settings, these Italian towns are sure to awe you. Having trouble deciding where to go on your next trip to southern Italy? From unspoiled hilltop towns to popular summer destinations, here are ten of our favorite small towns in Italy’s south! Known as the “Pearl of the Tyrrhenian Coast,” Maratea, an off-the-beaten-path gem in the region of Basilicata, boasts pristine beaches, lush Mediterranean vegetation, and crystal-clear waters. Not only is it the perfect getaway for nature lovers—there’s plenty to see and do here, too. 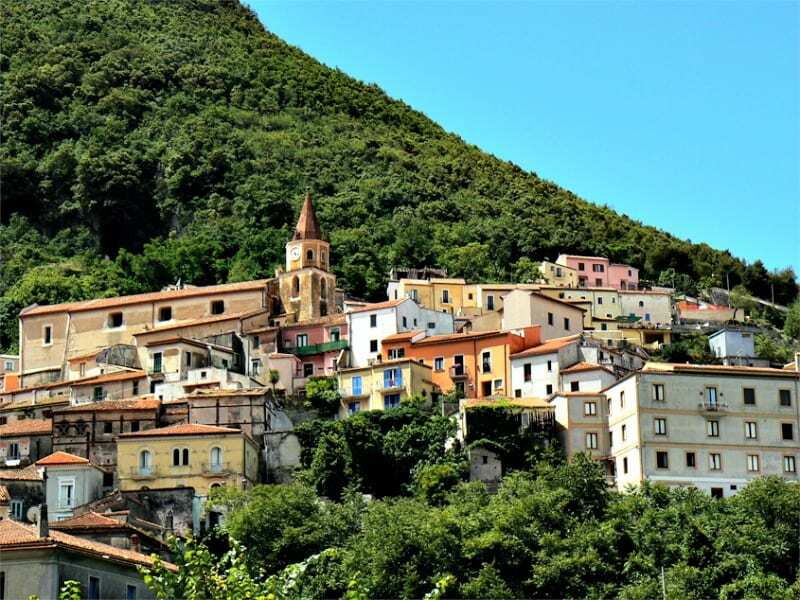 An unspoiled medieval town, Maratea is home to no fewer than 44 churches! It’s also home to a 68-foot marble statue of the Redeemer (much like the one in Brazil), looming from the peak of Monte San Biagio. Nearby is the Basilica of San Biagio, reputedly built on top the remains of an ancient temple to Minerva… and boasting splendid views of the entire area! Perched in the Lucanian Dolomites and backdropped by rugged peaks, Pietrapertosa is stunning. It’s also not for the faint-of-heart: Situated at 3,000 feet above sea level on the side of a cliff, you can only get there on a winding (and thrilling!) mountain road. Want a further adrenaline rush? Don’t miss the Flight of Angels—one of the highest, longest and fastest zip lines in the world. Remarkable sites that you shouldn’t miss when in Pietrapertosa include the Saracenic castle (and its breathtaking views); the San Francesco Convent, built on the ruins of a Roman fortress; and Pietrapertosa’s main church, dedicated to San Giacomo, and still with its medieval frescoes. While Positano is billed as the “Jewel of the Amalfi coast” (for more info read out insider’s guide to the Positano), there are plenty of off-the-beaten-path gems on this stunning coastline. Atrani, situated south of Amalfi, might be our favorite. It’s the smallest town in southern Italy—but one of the most charming. With its seaside houses and serene atmosphere, Atrani is perfect for visitors looking for a quiet base on the Amalfi coast. And for those in search of a sandy beach (not so easy to find here), visiting Atrani is a must! Plus, you can combine your sightseeing with your sunbathing: Overlooking the beach is the stunning Collegiata di Santa Maria Maddalena, a Baroque church dedicated to the town’s patron saint. And don’t miss Piazza Umberto I, the social hub of this small town. For a more cosmopolitan, but still very quaint and atmospheric stay, read our blog about our favorite city on the Amalfi Coast. Located on the Salento peninsula of Puglia, Specchia sits on a hilltop surrounded by countryside. This sleepy, southern seaside town dates back to the 9th century. And, with its narrow streets, quiet alleyways and humble courtyards, it still feels timeless! Specchia once served as a defensive base, which makes for some interesting attractions today—including, in the main square, Risolo castle. Although it’s since been integrated into later buildings, you can still make out the 15th-century rectangular towers. There are remains of its defensive walls on the west side of town, too. 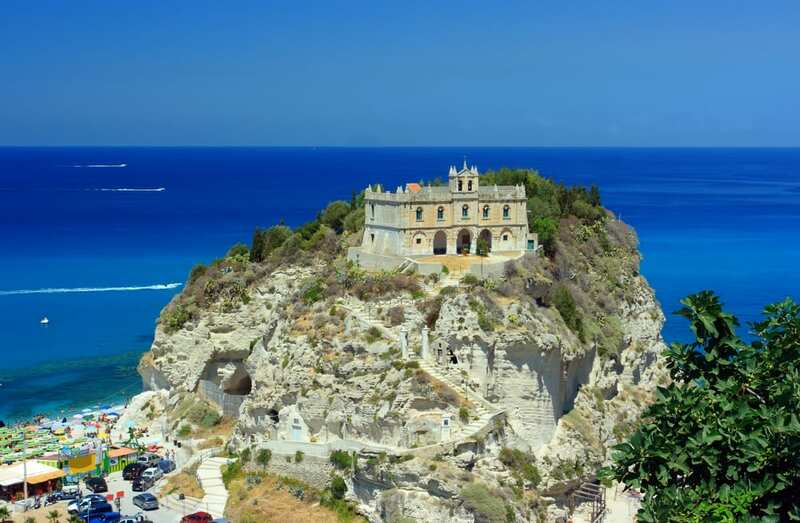 Perched on top of an imposing cliff, Tropea boasts a dramatic view of the turquoise sea and golden sand. And, unsurprisingly, this small town is Calabria’s most renowned destination—especially in the summer! While the views from Tropea are striking, the most picturesque is that of the rock outcropping, once an island and today still called Isola Bella. As well as gorgeous views and beaches, Tropea has top-notch food. Don’t miss its famous, sweet red onions… perfect for making delicious marmalade! More than 2,500 feet above sea level, Bova has gorgeous, panoramic views of the Ionian coastline. It’s also home to a cathedral dating back to the 5th century, ruins of a castle, fountains, and many noble residences. Even so, this gem of a town is off the radar for not only foreign tourists, but Italians, too—making it a fantastically authentic small town to visit! 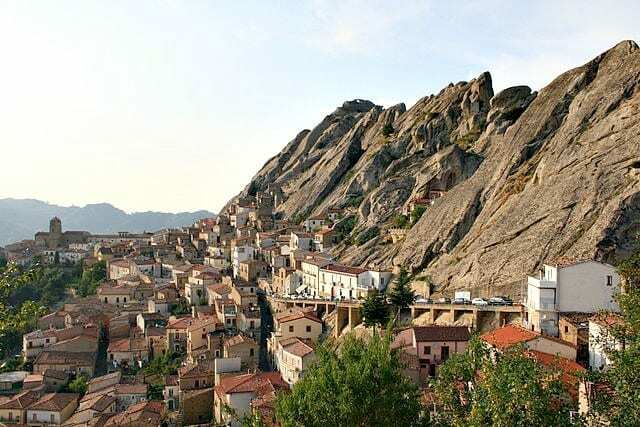 Even more interesting is Bova’s deeply-rooted history: One of few towns in the region of Calabria that still preserves its ancient Greek traditions, residents here still speak Griko, a form of the Greek dialect. In an effort to preserve, and raise awareness of their culture, the town holds a summer festival, “Paleariza,” every year. 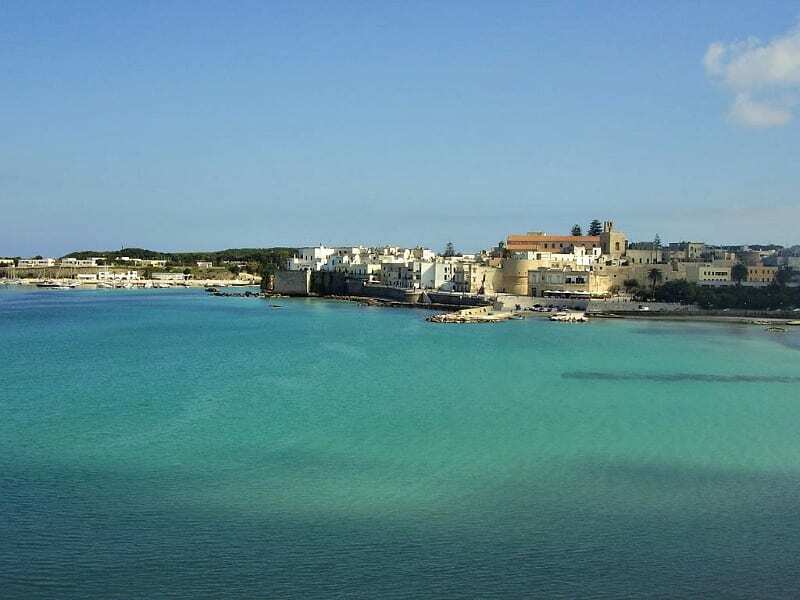 One of the most picturesque, charming towns in Puglia’s Salento peninsula, Otranto boasts not only beautiful beaches and turquoise waters, but a wealth of history and architecture. Don’t miss the Romanesque cathedral, originally built by the Normans in the 11th century; it features a remarkable 12th-century mosaic floor. Plus, as Italy’s easternmost town (putting it in a highly strategic position), Otranto was invaded… a lot! The defensive walls encircling the center still bear witness to the its violent history; the most notorious being the 1480 attack by the Ottomans. Today, this idyllic town springs to life in summer as a popular destination for those seeking the sea, sun, and great food (here’s some of the great food you’ll find in Salento!). With its ancient Greek origins, it comes as no surprise that Cefalù’s name is derived from a Greek word that means “head,” signifying “cape.” Sitting between the natural bay and a towering rock on Sicily’s northern cost, Cefalù’s setting is spectacular—and the small town in Sicily is only an hour’s drive from Palermo. 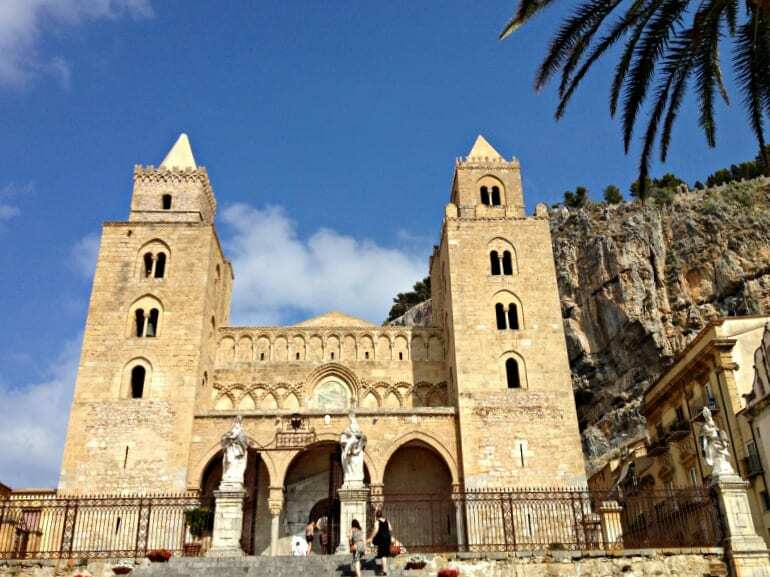 The architectural highlight of Cefalu is certainly the magnificent Cathedral commissioned by Norman king Roger II in the 12th century. Make your way up the imposing steps… and prepare to be awed by the splendid mosaics of Christ the Pantocrator! For the more adventurous, head up the massive rock behind the cathedral for the remains of the Temple of Diana from the 5th century B.C., and a Byzantine castle… not to mention incredible views! Erice, an enchanting town situated in north-western Sicily, soars 2,000 feet above the town of Trapani. On a clear day, you can see the Egadi islands from here! 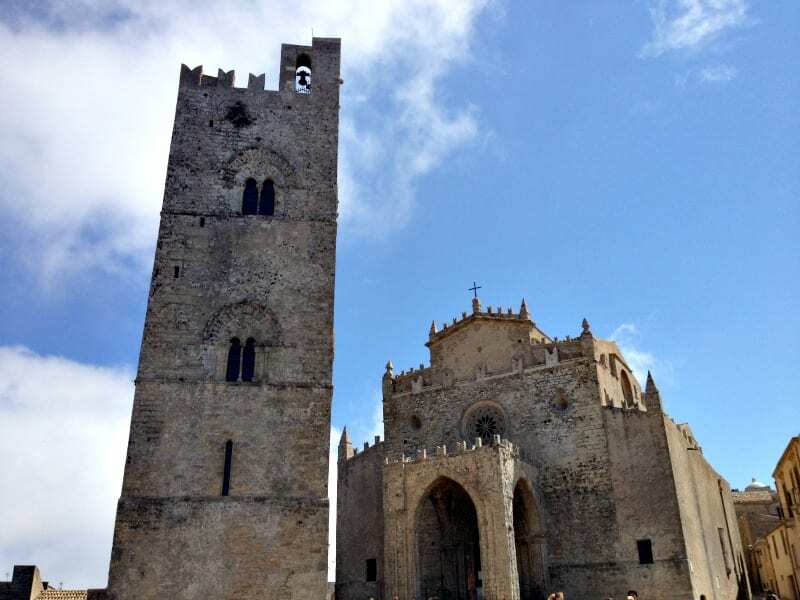 Perhaps more than any other town on this list Erice feels like something out of a fairytale. This well-preserved medieval town boasts castles, a maze of steep cobblestoned alleys, a lovely garden with breathtaking views, an impressive cathedral, and the striking bell tower. 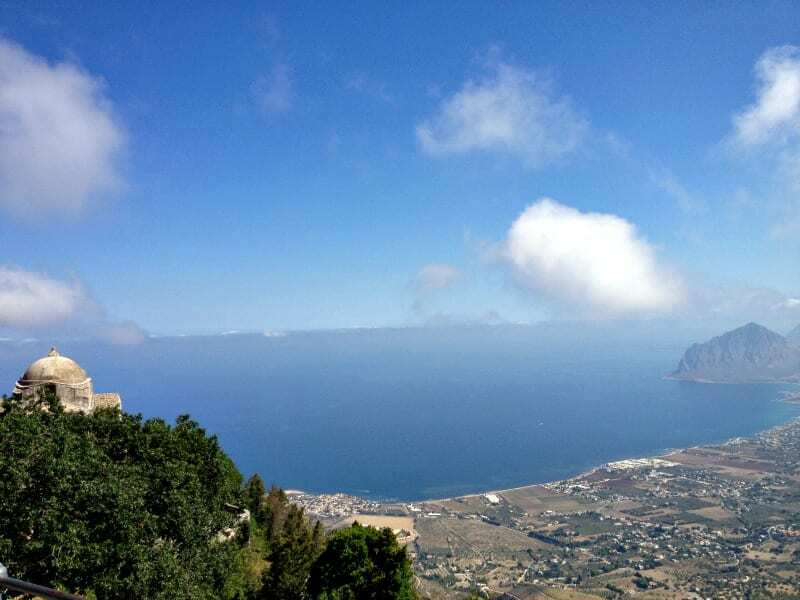 To get here in the most thrilling way possible, take the cable car from Trapani (and don’t forget your camera!). Certainly not off-the-beaten-path, Taormina is a popular destination all year round—with reason! It’s a charming town boasting remarkable views of Mt. Etna and is also home to the lovely Piazza IX Aprile, a lively square that feels like a huge, outdoor terrace. 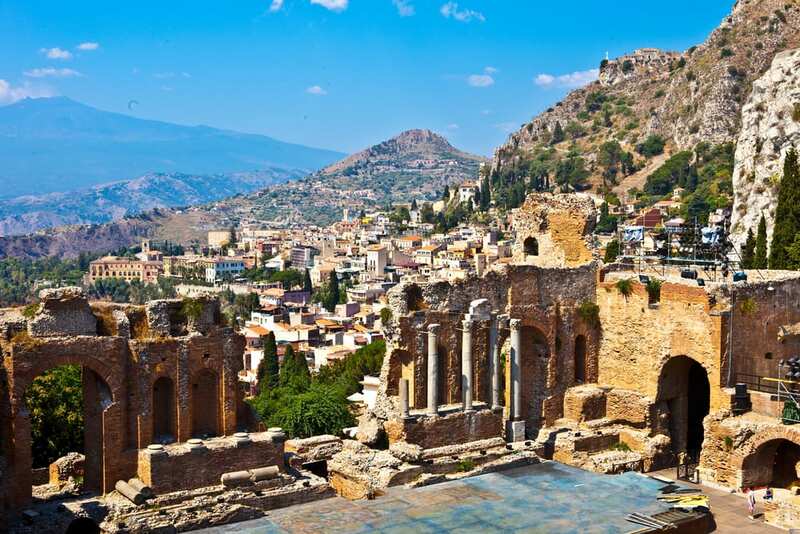 No visit to Taormina is complete without a visit to the Greek theater, the second-largest in Sicily, with its origins dating back to the 3rd century B.C. For a tranquil spot to take in the views, head to the verdant public gardens, an English-style garden overlooking the sea that serves as a welcome retreat especially in the heat and crowds of summer. For more on this gem, check out our blog on places to visit in Taormina! Have you been to these small towns? 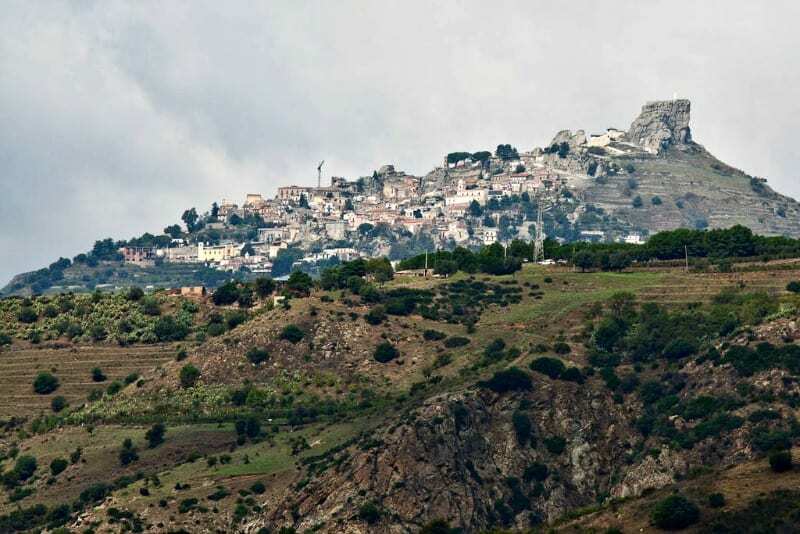 What is your favorite small town in Southern Italy? Let us know in the comments below. The unique Franco-Provençal villages of Faeto and Celle San Vito are my favorite small towns of Southern Italy. They sit side by side in the Province of Foggia (Puglia). Scenic as well as historic, well worth a visit! Staying in Atrani the first week of October. 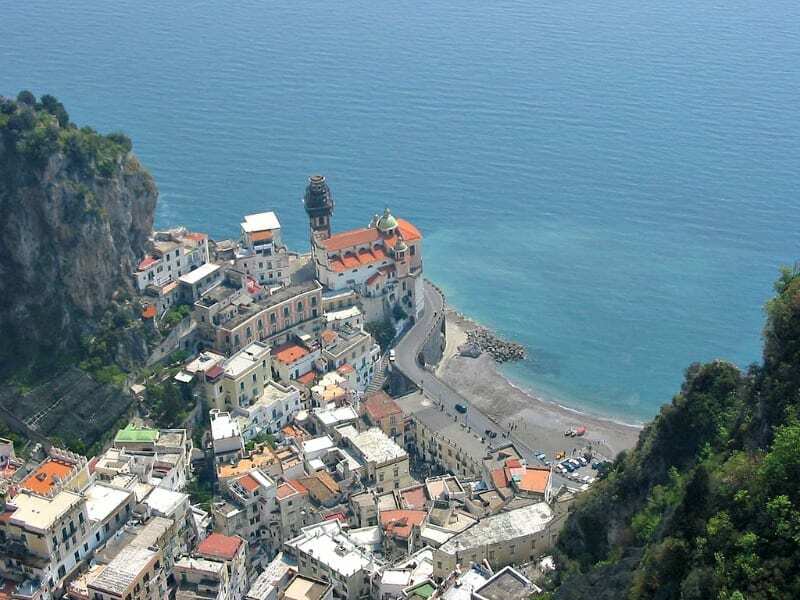 Your comments are exactly why I chose Atrani. Thank you for validating my choice. Can’t wait!! I see I have a lot more travel ahead of me! I’ve only been to Taormina, so should start planning. My grandparents came from a remote mountain village, Raccuia (sometimes spelled other ways), to be the northeast of Sicily. Jo Danna, a woman that, as far as I know, resides in a nursing home in Saratoga Springs, NY that was a protege of Margaret Mead in the 1960’s was sent back to her parents’ native village to conduct more research about the link between language and intelligence. She wrote a book several years ago about the experience, “The Sicilian Project: When Ancient Ways Collide with the Modern World” A great read. My favorite visit to a town in southern Italy is Paestum, an ancient site unearthered by the British at the turn of 1900. It was a sunny, clear blue sky day as I scampered about the ruins. Nice museum with the original fresco of “The Dive Locker.” Small inn and nice little restaurant at one end. Thank you for sharing, Nancy! Yes, Paestum is one of our favorite spots, and the museum is not to be missed. My grandmother was from Raccuia. I got to walk those streets 10 years ago. It was a beautiful town. So long after she had passed in the US. It was a great feeling. you are the 1st person who has ever mentioned Raccuia besides family. My Nonno was from Raccuia also. Unfortunately he passed away before I could get the exact address but I am planning a trip to see his village in May this year. I am excited to see it mentioned on this site as most people have never heard of it. Oops, meant to the NW of Mt. Etna. I have been to Taormina, Erice & Cefalu in Sicily. They are all quite beautiful, if maybe a little touristic. After touring Sicily for 4 weeks, I must admit that my favorite place was Cefalu. The people were warm and friendly and the food was excellent (stay away from the “traps” that line the beach and instead venture into the historic center and ask for recommendations from the shopkeepers). If you want something a little smaller and more remote, Stromboli is a magical little Island. It is easy to catch a boat to the Island for a day or to find a place to stay for a few. Now we head into Southern Italy for another 4 weeks and I have your recommendations now on my list. Thank you! Saw your comments on the net about Sicily and that you were traveling in Southern Italy for four months in 2013. We want to spend the fall( 2-3 months) in /southern Italy this year. Could you please share recommendations. We stayed at the wonderful Villa Ducale..is it still available for occupancy? Hi! My sister and are planning on traveling around the south of Italy, and I have loved that you have blog posts on the south! We are taking a couple of days to make our way from Lecce to Sicily, stopping one night in Matera, and one… somewhere else. do you have any suggestions of where would be a good place after Matera, both in terms of transport (we are only using public transport) and somewhere interesting to be? What a lovely trip! We suggest you check out Alberobello. Unfortunately, it’s not that close by public transportation – the train takes about 3 hours because it goes from Matera up to Bari and back down to Matera – but the famous trulli buildings are truly a unique sight to see! The nearby Grotte di Castellana are also a unique experience. 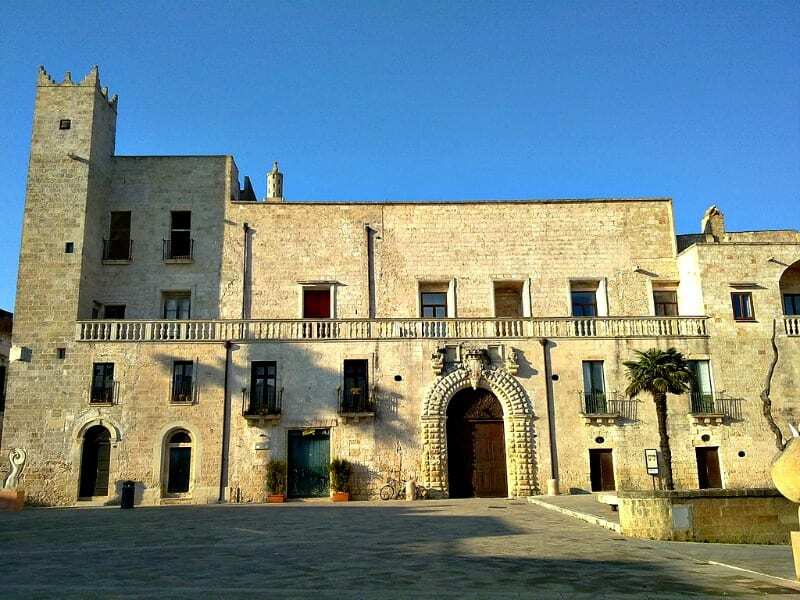 Check out our Matera post for more information. We’re sure you and your sisters will have a great trip! My parents were from Salemi, province of Trapani.. I haven’t been back in so many years but would love to see photos of today! Looking to rent for 3 months in southern Sicily this winter. Mid Jan to Mid April. As seniors, we are looking for a small town or village, quiet and close to the water. Any recommendations? Sorry, we’re not in the accommodations business and unfortunately can’t help you with that. You might try http://www.booking.com or another online booking website to find a place in Sicily.